Gary Gill has big plans for the future of Waimea valley. He just doesn’t know exactly what they are yet. It’s not surprising. As executive director of Hiipaka, the nonprofit created by the Office of Hawaiian Affairs to manage the park, he just took charge of the valley on Feb. 1. It’s been a mad rush to get basic systems in place. “Up to now, we haven’t had time to look at long-term planning,” he says. That’s not to say Gill doesn’t have a vision. The 1,875-acre park will continue popular programs, like its botanical gardens, but he expects a stronger focus on native Hawaiian culture. “This is a place for local people to come,” says the former city councilman. 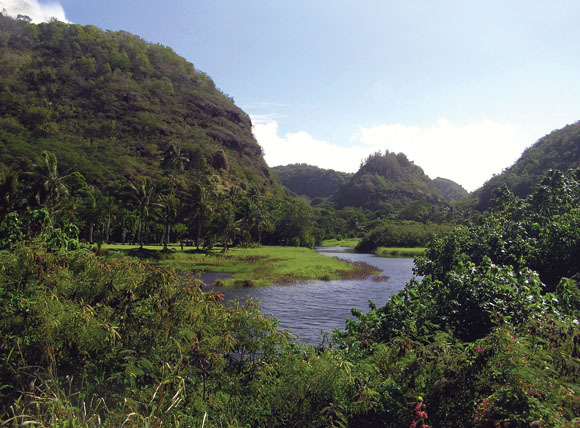 Gill believes visitors will also be drawn to authentic Hawaiian culture. That’s an important consideration, because the valley has operated at a loss in recent years. OHA plans to spend millions of dollars to take care of the park’s long-deferred maintenance, but, ultimately, Waimea should be self-sustaining, he says.